The PCB board has two sides. One side for pin pitch size 0.65mm, the other side for pin pitch size 1.27mm. Each borad has 8 pins. 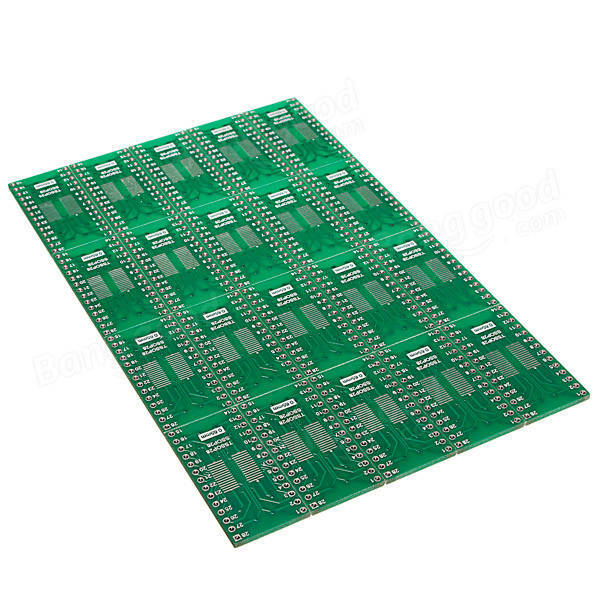 It is compatible with 2 to 8 pins (6 pins, 4 pins). Front side for pin pitch size 1.27mm, can used for SO28, SOP28, SOIC28 to DIP28 2.54mm. Opposite side for pin pitch size 0.65mm, can be use for MSOP28, SSOP28, TSSOP28 to DIP28 2.54mm.